3 Black Teenage Scientists Had A Breakthrough, Then Came The Trolls NPR's Scott Simon reflects on the hatred expressed online for three African-American high school girls who entered a science competition. 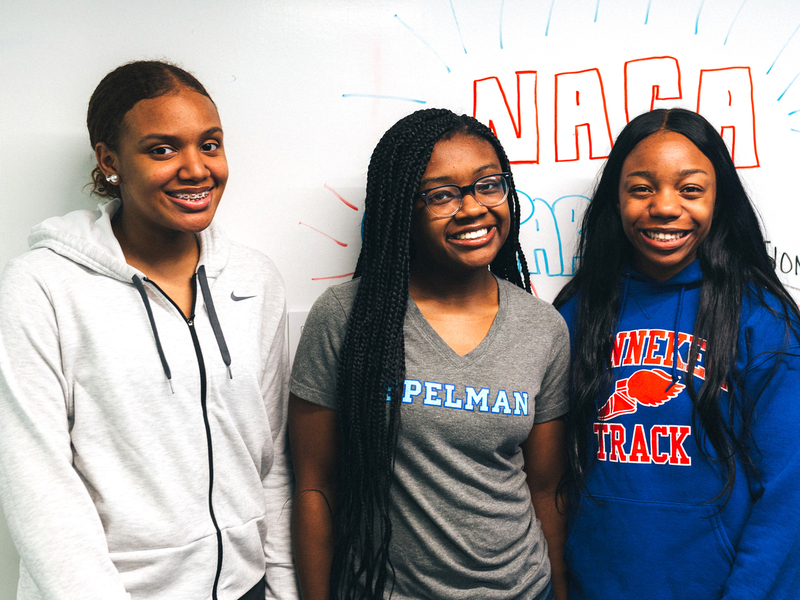 Washington, D.C., high school students India Skinner, Mikayla Sharrieff, and Bria Snell became the target of racist online trolls after becoming finalists in a NASA competition. The three friends became one of eight teams that are finalists in a NASA competition to apply space technologies to earthly challenges. They invited people to vote for projects on social media platforms. The water purifier devised by the young women seemed to win attention. Hundreds of schools across the United States have drinking water that is contaminated by lead; it's a serious problem that could use good ideas. And by the way: The students from Banneker are the only team among the finalists who are all African-American women. At a time when they should have heard nothing but accolades and encouragement, some unidentified people on 4chan, an Internet bulletin board where racists and homophobes have posted anonymous nonsense, began to put up bigoted comments about the young women. There is no need to quote those comments here. The trolls suggested ways to manipulate the NASA voting system to prevent the young women from winning. NASA decided to shut down the voting system because it was compromised. The agency denounced the racist attacks and added, "NASA continues to support outreach and education for all Americans, and encourages all of our children to reach for the stars." India Skinner told The Washington Post that she hopes people would see photos of their team "and see we're just regular girls, and we want to be scientists." The winners will spend two days at NASA's Goddard Space Flight Center in Maryland. As to their futures: Skinner would like to become a pediatric surgeon. Sharrieff plans to become a biomedical engineer. Snell would like to be an anesthesiologist. I cannot imagine what the kinds of people who post racial insults about promising young students might wind up doing with their lives. But the three young women from Banneker High School seem to be well on their way to helping others.